Doesn't he know that it is impolite to point? I guess he forgot because he is excited about this week's edition of Grand Rounds. 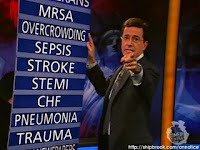 Go check it out at NY Emergency Medicine.